Titre(s) This old dog [enr. 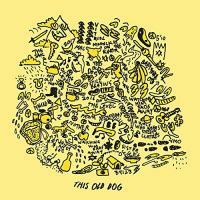 sonore] / Mac DeMarco, comp., chant, guit. Editeur(s) New York : Captured Tracks, 2017. Contient My old man. - This old dog. - Baby you're out. - For the first time. - One another. - Still beating. - Sister. - Dreams from yesterday. - A wolf who wears sweeps cloathes. - One more love song. - On the level. - Moonlight on the river. - Watching him fade away.